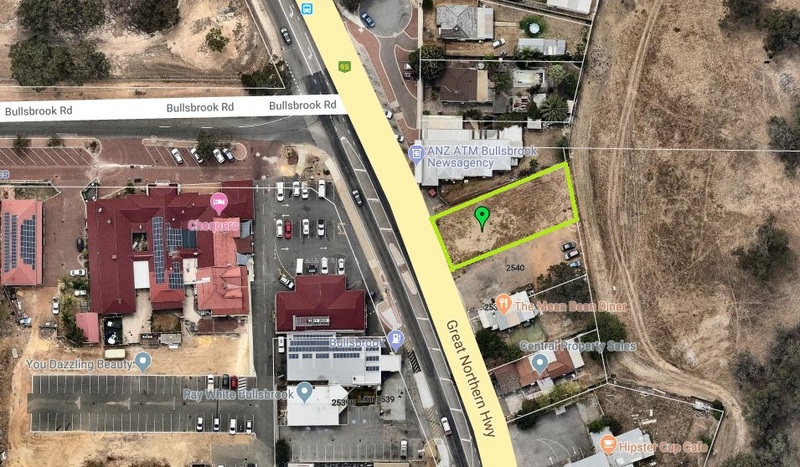 Only occasionally does a Highway frontage block become available in the Bullsbrook Townsite. It is a great opportunity to buy a property with your own title and not pay high rent and outgoings in a shopping centre. The site provides exceptional exposure to the high volume of highway traffic. Approved for the site is a 250 square metre commercial building with an additional 48 square metre Portico at the front of the building. Full plans are available to the successful purchaser. 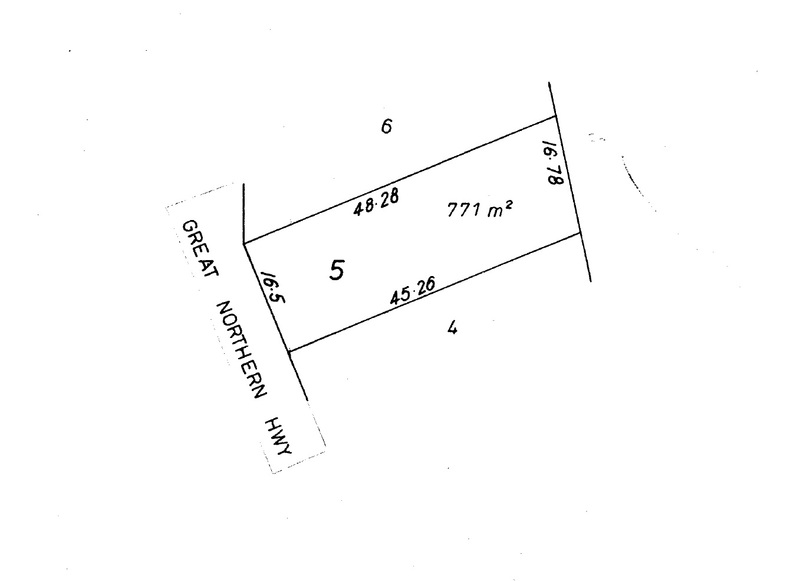 These plans have been produced at considerable expense to the seller. 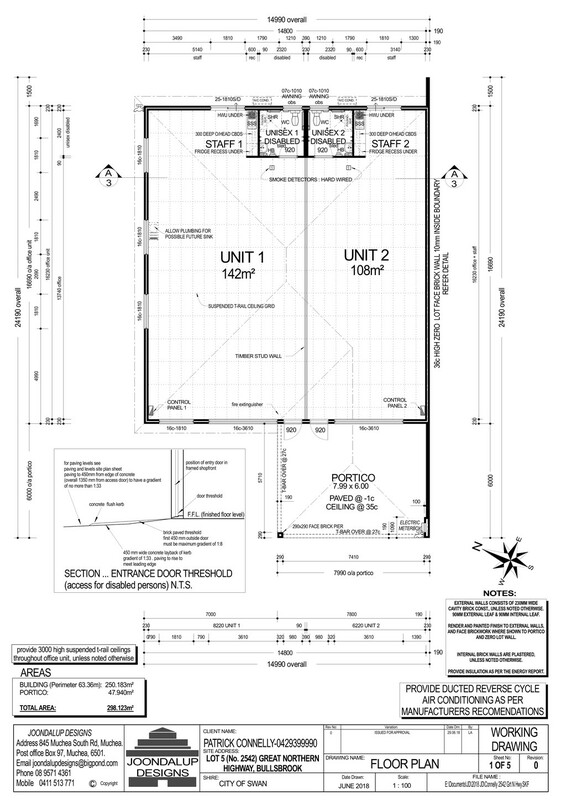 Please see attached Site Plan and Floor Plan showing that the building with two suites of 142m2 and 108m2 plus portico. There is considerable confusion with statutory authorities at present as the the actual zoning of the property and Buyers are to make there own independent inquiries with them. Our advice is that the building was approved under Mixed Business, but council has submitted a proposal for residential. 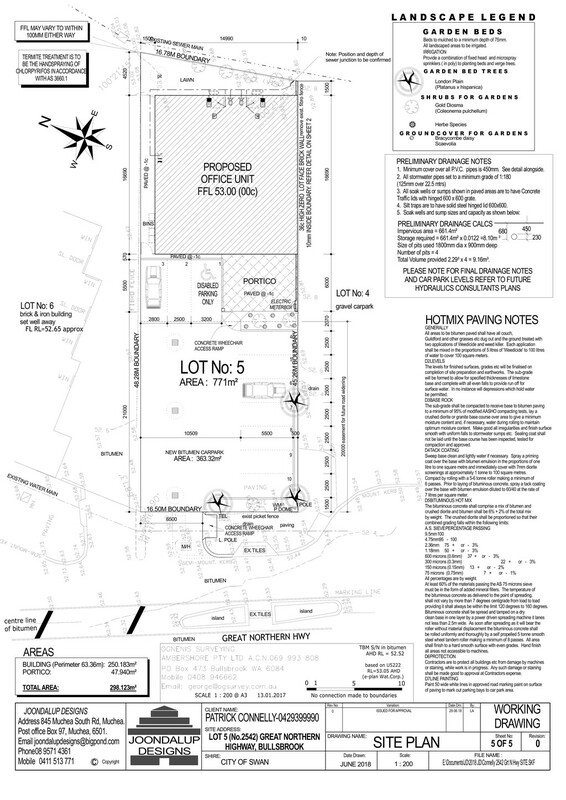 We have been advised that the building is permitted to be built and the approvals is valid. 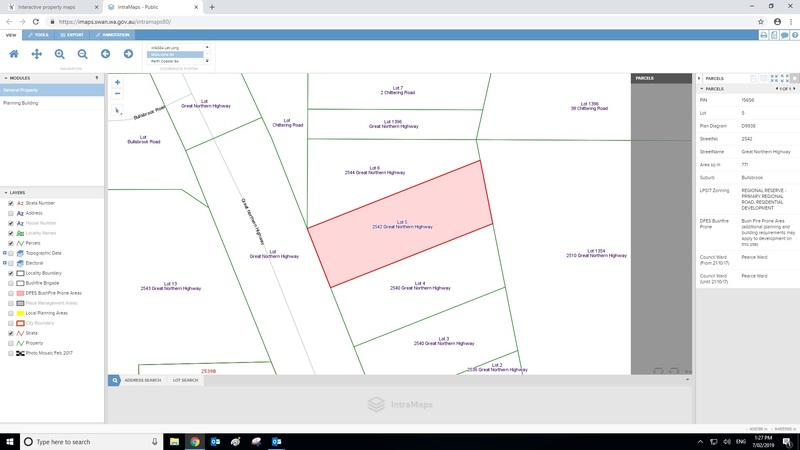 Buyers should also be aware that there is a primary road resumption reserve on the first 20 metres of the Lot being 330sqm approx of the 771sqm block size leaving residual 441sqm if the resumption takes place. Compensation is always paid on the land resumed. It is unknown if and when the resumption will take place. WAPC Plan available on request. For further information please contact exclusive agents Ron Farris Real Estate.